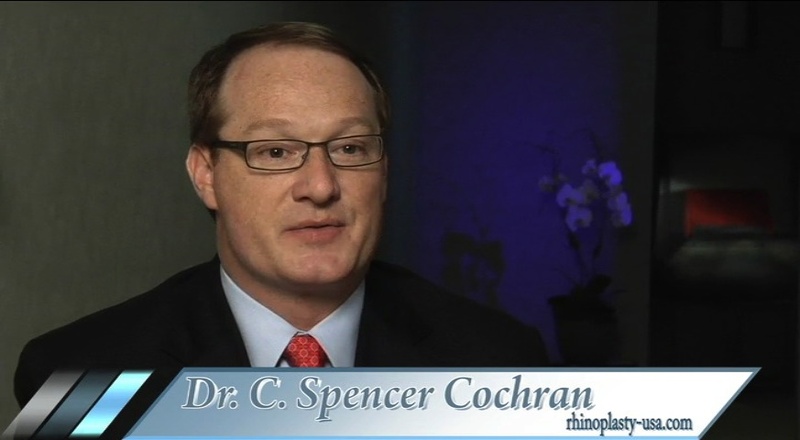 C. Spencer Cochran, MD is a rhinoplasty specialist and founder of the Dallas Rhinoplasty Center. He is one of only a handful of doctors worldwide who has exclusively devoted his surgical practice to rhinoplasty and revision rhinoplasty. Dr. Cochran is board-certified by the American Board of Otolaryngology and is a member of The Rhinoplasty Society, the American Academy of Facial Plastic and Reconstructive Surgery, and many other prestigious medical organizations. He strives to provide optimal rhinoplasty results by combining proven rhinoplasty methods with state-of-the-art advances in nasal surgery. His vast experience and exemplary credentials set him apart as an exceptionally talented rhinoplasty specialist. Rhinoplasty intrigues me because of its inherent degree of difficulty. To be extraordinary, you must develop a keen aesthetic eye, a deep understanding of anatomy, and incredible technical proficiency. You must also commit to it as a specialty because rhinoplasty is challenging to do well if you are not doing it all the time. Dr. Cochran earned his medical degree from the University of Texas Health Science Center at San Antonio, where he graduated with honor. His interest in rhinoplasty led him to pursue a career as a nasal surgeon and rhinoplasty specialist, training at the world-renowned University of Texas Southwestern Medical Center at Dallas. During his residency, he served as Chief Resident of the Department of Otolaryngology-Head & Neck Surgery (ENT). 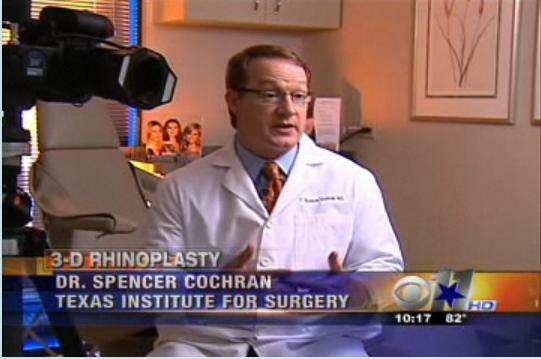 Dr. Cochran continues to teach rhinoplasty techniques to other surgeons as a Clinical Assistant Professor in the Department of Otolaryngology-Head & Neck Surgery, as well as an Assistant Professor in the Department of Plastic Surgery at UT Southwestern Medical Center at Dallas. As part of his training, Dr. Cochran studied the art and science of rhinoplasty directly under esteemed nasal surgeon Jack P. Gunter, MD, observing and assisting him in surgery. Dr. Gunter was impressed with Dr. Cochran’s talent and enthusiasm for rhinoplasty and later asked Dr. Cochran to join his practice. When Dr. Gunter retired in 2014, he entrusted Dr. Cochran to continue his practice. My patients truly benefit from all I have learned from Dr. Gunter. His meticulous attention to detail is remarkable. Having worked beside him for 10 years made me a better doctor. Dr. C. Spencer Cochran regularly receives glowing testimonials from happy patients because of their caring, compassionate manner and their dedication to providing the best results possible. If you are considering rhinoplasty, we encourage you to schedule a consultation so that you can meet him in person and learn for yourself why he is held in such high regard by his patients and the media. Dr. Cochran has been recognized by colleagues and patients alike as specialist in primary rhinoplasty and secondary rhinoplasty. Dr. Cochran was voted one of the “Best Doctors in Dallas” by D Magazine. Few aesthetic surgeons can claim the stature, prestige, and distinct contributions of Dr. Cochran. Due to his extensive knowledge and experience in nasal surgery, he is an invited lecturer at numerous international rhinoplasty courses—including the Dallas Rhinoplasty Symposium, the American Society for Aesthetic Plastic Surgery, and the AAFPRS Rhinoplasty course—where he teaches his techniques and shares the latest rhinoplasty innovations. He is also a contributor to Dallas Rhinoplasty: Surgery by the Masters, now in its third edition and recognized as the leading rhinoplasty textbook. Dr. Cochran has repeatedly been selected as one of the “Best Doctors in Dallas” by D Magazine and a “Super Doctor” in Texas Monthly magazine, and he is a featured rhinoplasty expert on RealSelf.com—an online patient education platform for individuals seeking nasal surgery and other aesthetic treatments. Striking the perfect balance between meeting a patient’s aesthetic goals and correcting a functional problem is very important—a great looking nose must also work well. I never settle for anything less than my personal best. This is the only thing I do, and it will be done right. For more information about Dr. Cochran, or if you are interested in nasal surgery and wish to schedule a consultation, please do not hesitate to contact the Dallas Rhinoplasty Center online or by telephone at 214-369-8123 today.